Inside this replica of Mann's Chinese Theater in Hollywood, California, is The Great Movie Ride. This is a "tram ride" through Disney and MGM's movie history. 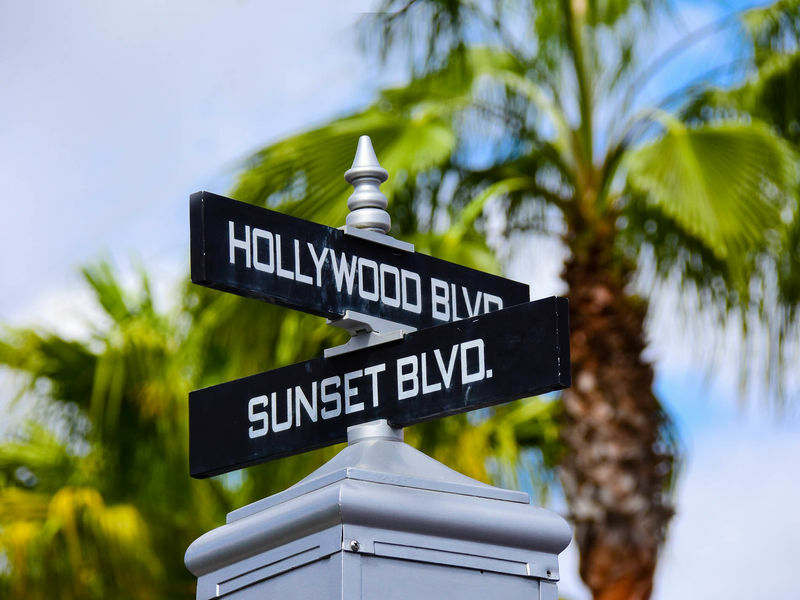 As you proceed through the ride, your tour guide interacts with the stories and sets you drive through, each set referencing a genre of movies: the gangster film, the action film, the romance, for example. More than 50 animatronic figures populate the ride, including some that take the place of such people as Gene Kelly, Julie Andrews, and Judy Garland in their most famous movies scenes. Location: In the middle of the park at the end of Hollywood Boulevard, right behind the Sorcerer Mickey hat. # of Ride Units: Can run up to 10 vehicles, 11 on site. Open/Close: Opens and closes with the park. This attraction is open during evening Extra Magic Hours but only a half-hour for the morning version. Wait Times: Since it is the first attraction seen after entering the park, the line tends to be longest early in the day and after anything that congregates people on Hollywood Boulevard (such as parades). Later in the day lines shouldn't be much longer than 30 minutes. Queue Description: As you wait to get to the loading area, you can movie props and other memorabilia. A large screen also shows clips from classic films. Ride Access: Tram units are equipped for wheelchairs. ECVs can not fit on the trams and users will have to transfer to a standard wheelchair to board the vehicle. Weight and Size Issues: Long legs may find the seating a bit cramped.